For the last four weeks, the Democrats held furloughed federal workers hostage to their political agenda. On Friday, President Trump rescued them by ending the government shutdown. The President has now given Congress three weeks to reach a deal to fund border security or he will declare a state of emergency at the border. Thanks to President Trump’s bold leadership, the state of emergency faced by federal employees is finally over. Of course, don’t expect the Democrats and their media allies to give him any credit. Since the first day of the government shutdown, the Democrat Party relentlessly used federal workers as political pawns, refusing to negotiate with President Trump on a border security compromise that would have ended the government shutdown. It is important to remember that when President Trump met with House Speaker Nancy Pelosi and Senate Minority Leader Chuck Schumer earlier this month, Pelosi announced that she isn’t interested in finding common ground on immigration, ensuring that the suffering of federal workers would continue for weeks. The Democrats’ strategy was simple: keep the government closed for as long as possible while accusing President Trump of abandoning furloughed employees. Sadly for the victims of the shutdown, however, the Democrats were never really interested in easing the pain of the border security impasse. It would be reasonable to assume that the Democrats would have overwhelmingly supported these initiatives, especially given their concerns about suffering furloughed workers — but they didn’t. Instead, Democrat lawmakers overwhelmingly voted against the proposal that would have paid the government employees while the shutdown was in effect. Perhaps they were convinced that dangling federal workers in front of television cameras was far more advantageous than alleviating their suffering. Thankfully for America, President Trump wasn’t prepared to go along with the Democrats’ hostage-taking tactics. By agreeing to temporarily open the government, the President rescued the federal workers while pressuring his political adversaries to negotiate an actual compromise on border security. 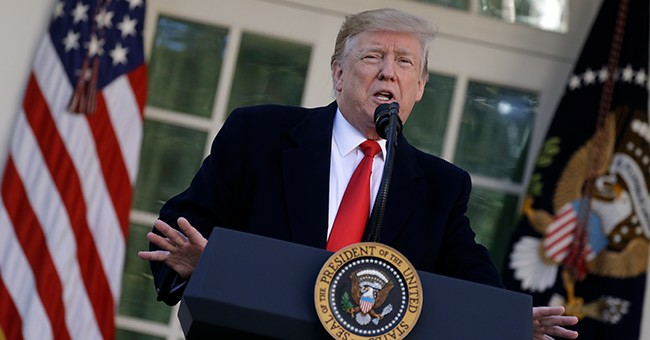 The President's move also fundamentally changes the nature of the border security debate for the next three weeks, as the Democrats can no longer use the misery of federal workers to their own political advantage. Days before President Trump’s announcement, Pelosi changed her tune on border security, pledging to discuss a potential deal on immigration if the government re-opens. The ball is now in her court. Over the next three weeks, Americans will see for themselves if the Democrats are finally willing to compromise or if they have simply been lying this whole time. But at least federal employees can rest easy knowing that, whatever happens, they’ll no longer be pawns in the Democrats’ political games.